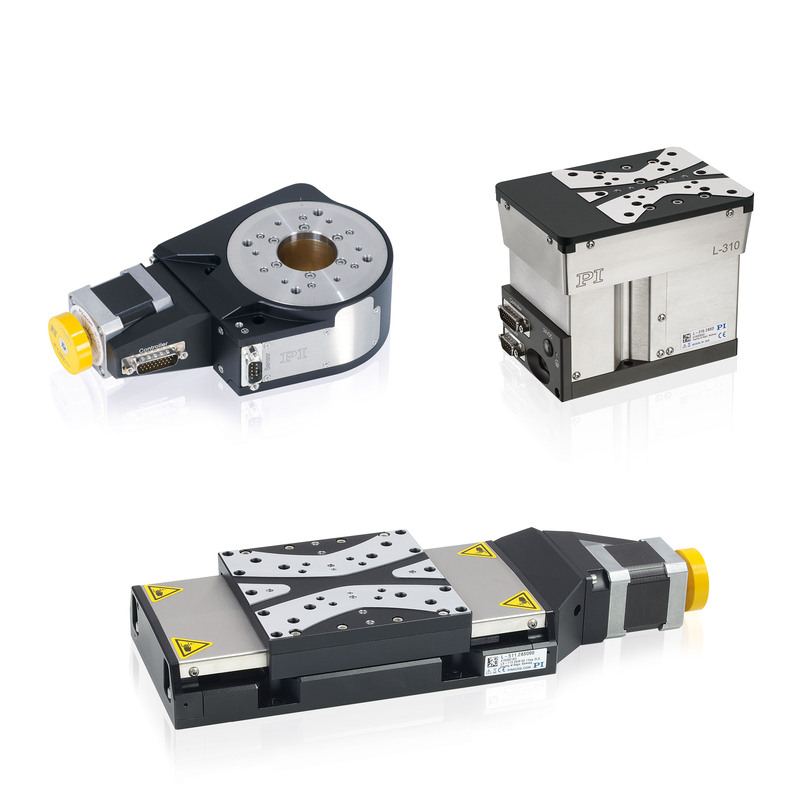 PI (Physik Instrumente) offers a new range of Z, rotation, and linear stages for applications in industry and research that demand high cycle numbers and high precision. combined to make compact multi-axis systems. 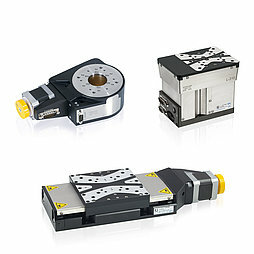 All versions of the positioning stages are available with high-resolution encoders and a selection of stepper motors and DC servo motors. Vacuum versions are also available. The L-310 offers a travel range of 26 mm and achieves typical step sizes of 0.1 µm and a velocity of 15 mm/s. An optional linear encoder enables a resolution of 50 nm. The stage is self-locking up to a load of 10 kg. The stress-relieved aluminum base ensures excellent position stability. Long lifetime and high travel accuracy with minimal backlash are guaranteed by the preloaded ball-screw drive and precision crossed roller bearings. The L-611 rotation stage has an aperture with diameter of 35 mm. Very exact pivot bearings ensure optimum travel accuracy. The versions with integrated angle measuring system achieve resolutions of up to 0.035 µrad. The hardened, ground worm screw ensures even and precise motion. DC servo and stepper motor controllers are available in single-axis and multi-axis configurations for controlling the positioning stages. All controllers from PI are supported by an extensive software package. Uniform commanding serves to speed up start-up and easy integration into customer-specific applications. Well known for the high quality of its products, PI (Physik Instrumente) has been one of the leading players in the global market for precision positioning technology for many years. PI has been developing and manufacturing standard and OEM products with piezo or motor drives for 40 years. In addition to four locations in Germany, the PI Group is represented internationally by fifteen sales and service subsidiaries.